A SLAP tear is an injury to a part of the shoulder joint called the labrum. The shoulder joint is a ball and socket joint, similar to the hip joint. However, unlike the hip joint, the socket of the shoulder joint is extremely shallow, and thus inherently unstable. This means that the shoulder is prone to dislocation, and injury that occurs when the ball comes out of the socket. To compensate for the shallow socket, the shoulder joint has a circular rim of cartilage called a labrum that forms a cup for the end of the arm bone (humerus) to move within. Essentially the labrum of the shoulder deepens the shoulder socket. A specific type of injury to the labrum, or labral tear, is called a SLAP tear. SLAP stands for Superior Labrum from Anterior to Posterior. The SLAP tear occurs at the point where the tendon of the biceps muscle inserts on the labrum. 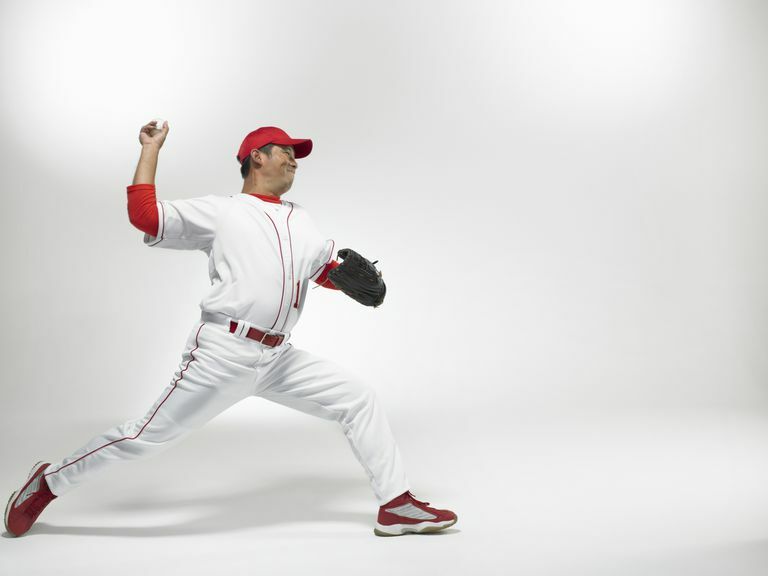 Typical symptoms of a SLAP tear include a catching sensation and pain with shoulder movements, most often overhead activities such as throwing. Patients usually complain of pain deep within the shoulder or in the back of the shoulder joint. It is often hard to pinpoint symptoms, unless the biceps tendon is also involved. In cases of SLAP tears with associated biceps tendonitis, patients may complain of pain over the front of the shoulder, the location of the biceps tendon. In competitive athletes with a SLAP tear, the symptoms may be subtle, but significant. Baseball players may notice a little less zip on the ball when they throw or a volleyball player may have a harder time serving the ball. The area of the labrum where the SLAP tear occurs is susceptible to injury because it is an area of relatively poor vascularity. Other parts of the labrum often heal more easily because the blood supply delivers a healing capacity to the area of the tear. In the area of SLAP tears this is not the case, and chronic shoulder pain can result. Active compression test (O'Brien's test): With your arm held out in front of you, with your elbow straight, the examiner will apply a downward force at the level of your wrist while you rotate the extremity. Pain experienced with the thumb pointing down (pronation), as opposed to the thumb pointing up (supination), is indicative of a SLAP tear. Crank test: This test is performed with your arm held away from your side. As the examiner applies force towards the body and rotates the arm, the test is considered positive when a 'click' is felt within the shoulder. Diagnosis of a SLAP tear can be difficult, as these injuries may not show up well on MRI scans. SLAP tears tend to be seen best on MRI when the study is performed with an injection of contrast. A contrast MRI is performed by injecting a fluid called gadolinium into the shoulder; the gadolinium helps to highlight tears of normal structures, including SLAP tears. The sensitivity of an MRI, meaning the percent of times the test will show the tear, goes up dramatically when gadolinium contrast is injected into the shoulder prior to the MRI. Not every SLAP tear can be seen on an imaging test, and sometimes the diagnosis of a SLAP tear is made at the time of surgery. Most often treatment of a SLAP tear begins with simple steps to alleviate pain and regain strength of the shoulder. Nonsurgical treatments are most often recommended for a minimum of 3 months, as many patients can return to full athletic activities with nonoperative management. In patients who fail to recover, there are surgical treatment options that can be considered, the most common of which is called a SLAP repair. In some circumstances where the SLAP tear causes nerve injury and shoulder weakness, more immediate surgery may be recommended. SLAP tears are an injury to the cartilage that surrounds the shoulder joint. This part of the cartilage is called the labrum, and is important to stabilize the shoulder joint, and is also the attachment location for one of the major tendons within the shoulder. Injuries to the labrum in this location can cause pain and difficulty with overhead activities. This tends to be a problem especially in athletes. Injuries to the labrum in this location can be difficult to diagnose, but some specific tests can be helpful. Once the injury has been diagnosed, treatment can be targeted to the specific source. Keener JD, Brophy RH. "Superior labral tears of the shoulder: pathogenesis, evaluation, and treatment" J Am Acad Orthop Surg. 2009 Oct;17(10):627-37.